Every District is exploring what club structures will suit 21st Century conditions. Here’s a model that is far-out but thriving in a District beset by membership declines. 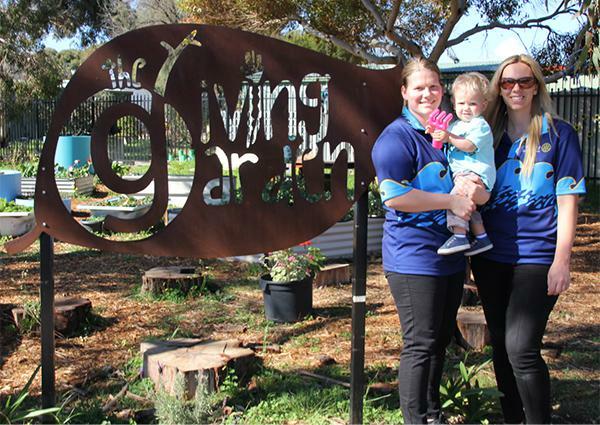 The one-year-old Rotary Club of Seaford, near Victor Harbor, SA, has tossed out old-style Rotary trappings and made itself female and family-friendly. It has two-thirds women members, after being chartered by 29 year-old president Cecilie Cardwell. Current president is Hannah Trevilyan 34. About 90% of members are in careers rather than retired, and ages range from the 20s to 74. The 28-member club meets fortnightly on different days -Thursday evenings and Sunday afternoons, to suit all members. It also meets at different places – members’ homes, libraries, sports clubs and book and coffee shops. Hannah, a real estate manager, says there’s no formality, toasts, raffles, sergeants, head table, bulletin or official bling. Guest speakers are invited to only a quarter of meetings, and then because of direct relevance to club operations. The meetings’ cost for members is cut through bring-a-plate or optional meals. “Our dues are $200 but the big cost for most clubs’ members is the $1500 for meetings,” she says. Cecilie thinks a club with many females is less intimidating to newcomers, especially as the women are so energetic about local community projects. “I look forward to more families getting involved with Rotary and to us changing the old images with new ones filled with diversity and love,” she says. Cecilie migrated from Norway in 2010, trained as a nurse and now works as a carer. She led the club’s creation while pregnant and normally brings her year-old son Archer to meetings – heading for a quiet corner if he gets noisy. They letterboxed fliers and put inserts into the local paper, hung posters, turned up with banners at every community event, and blitzed prospects by phone and social media. The club organised a recent Seaside Walk on Suicide Prevention at nearby Onkaparinga, which mustered 400 people and raised $7000 for Australian Rotary Health. The club’s Facebook has 816 ‘likes’ and 800 followers, the most in the District and more than the District’s own Facebook page. Shifting meeting venues is nothing strange. The name ‘Rotary’ derives from the rotation of venues by Paul Harris’s original group.